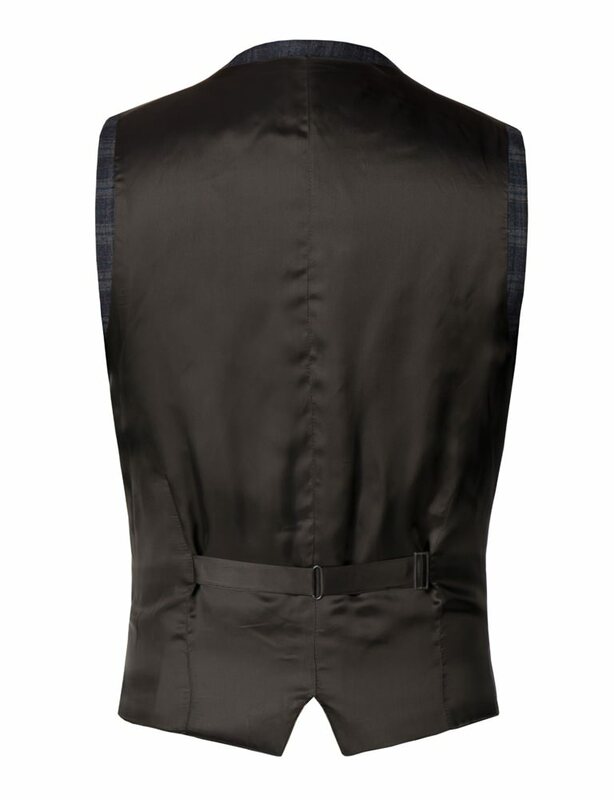 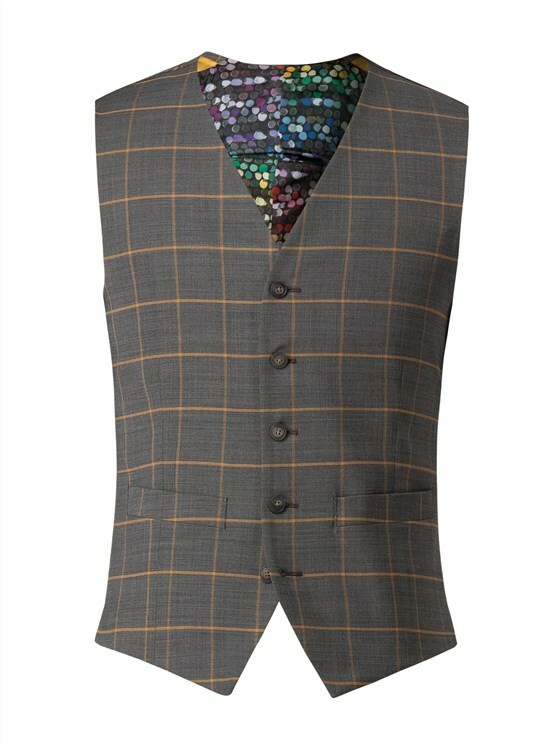 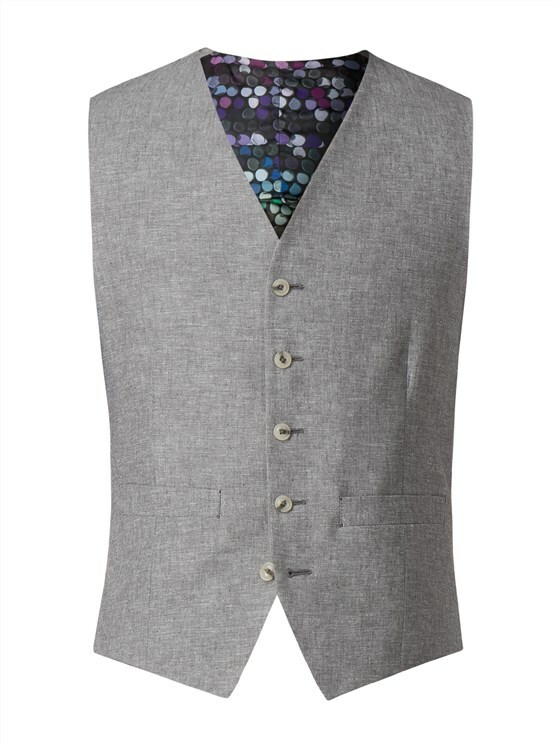 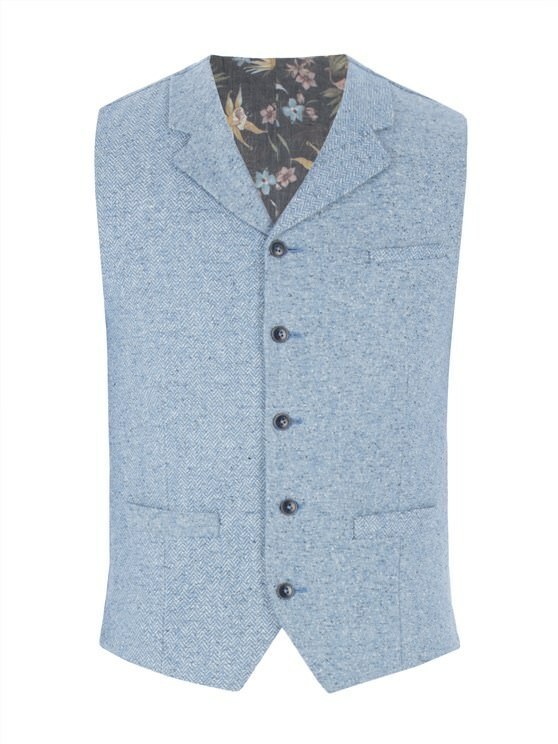 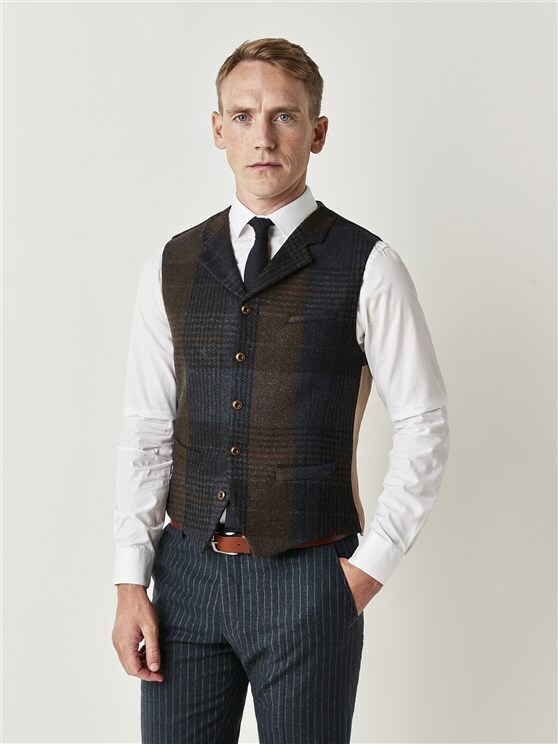 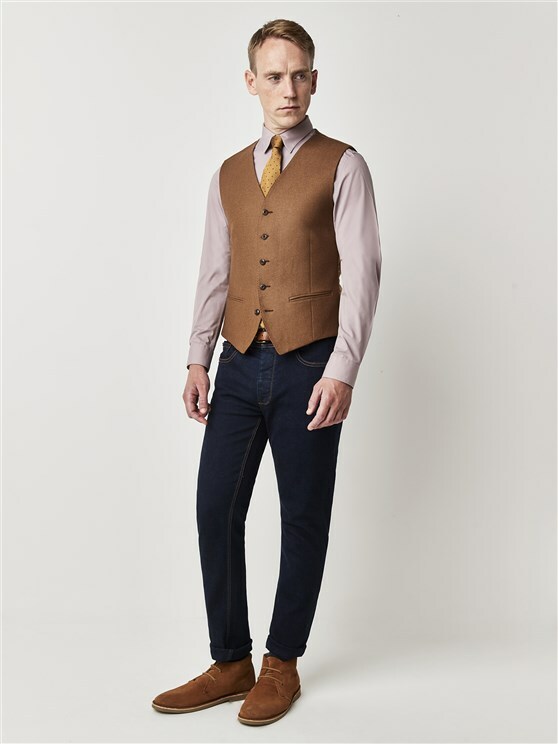 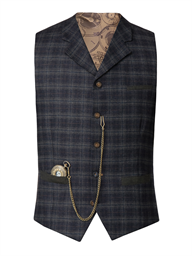 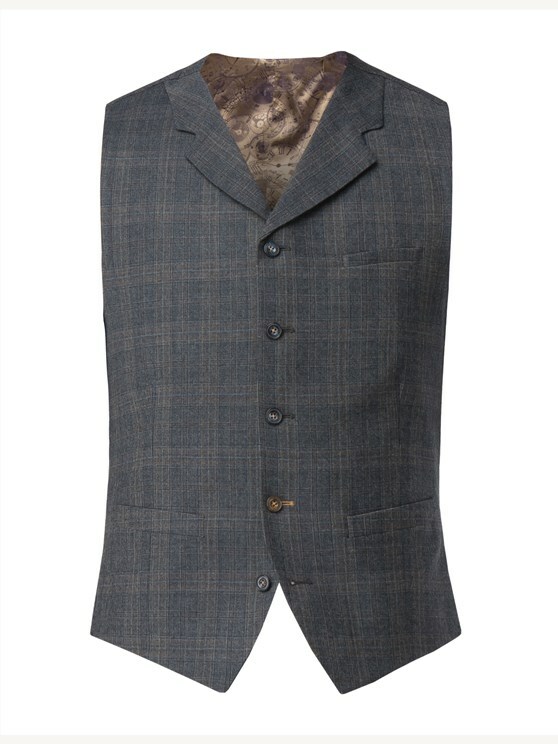 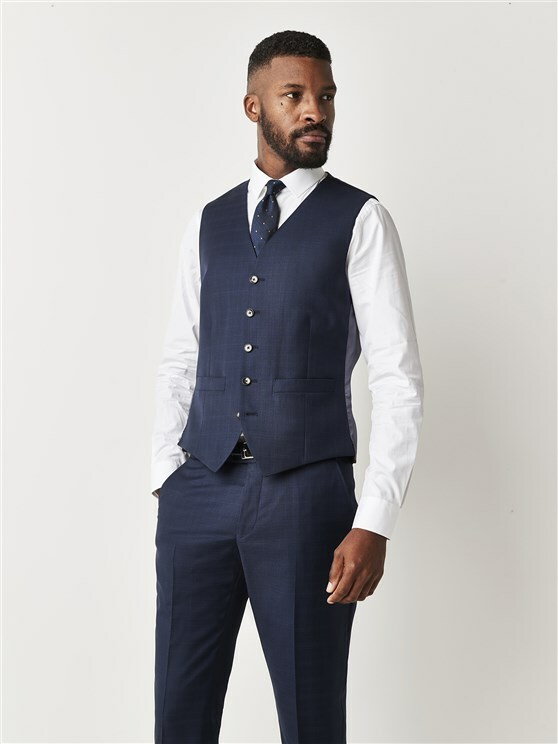 Gibson London modern tartan waistcoat, made in a wool blend with elastane for a comfortable performance garment. 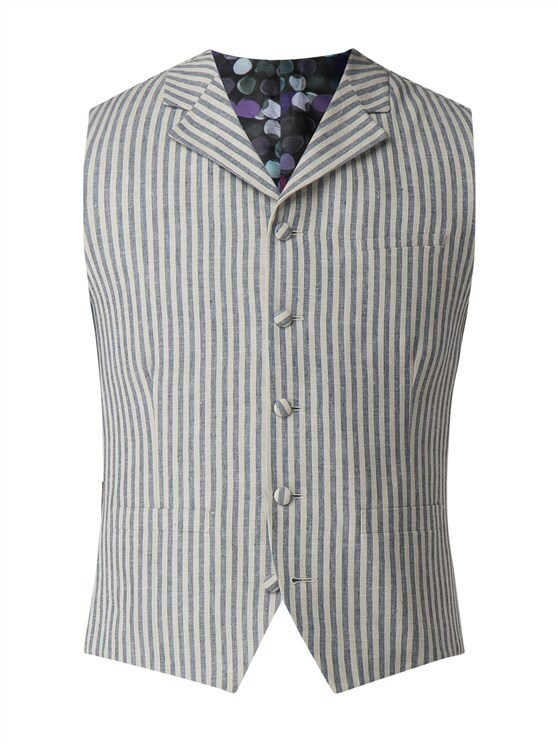 This buttons are sewn on in a contrasting colour and has a contrast coloured button down the front. There is an adjustable tab and buckle at the back so that the garment is a perfect fit.